BOGOTÁ, Colombia – President Juan Manuel Santos signaled his support Thursday for a bill that would allow the medical use of marijuana in Colombia. 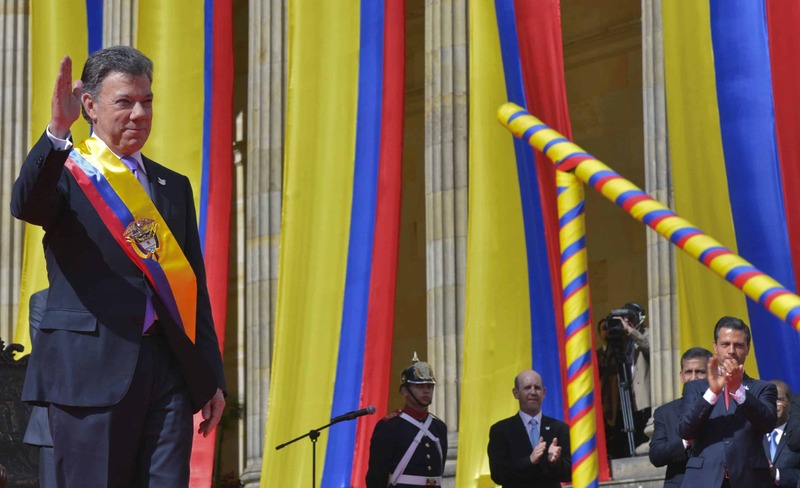 The ruling Liberal Party proposed the measure for a vote in the current session of the Colombian Congress, which opened July 20. “We look favorably on the initiative on the medical and therapeutic use of marijuana,” Santos said, during a forum on the country’s drug policies. He said the measure was both a “compassionate” response to pain experienced by patients with terminal illnesses, and a way to remove criminals as the middlemen. The consumption and sale of marijuana is prohibited in Colombia, but the South American country decriminalized possession of up to 20 grams of cannabis in 2012. Colombia produces marijuana, but is better known as the world’s largest exporter of illegal cocaine. Juan Manuel Galan, the author of the bill, said it would be debated in September. Santos said the “war on drugs,” first launched in the 1970s by U.S. president Richard Nixon, has failed. But he said “Colombia will not act unilaterally” in making changes in policy. “It is a global problem and the application of a new focus likewise should be the fruit of a global consensus,” he said.